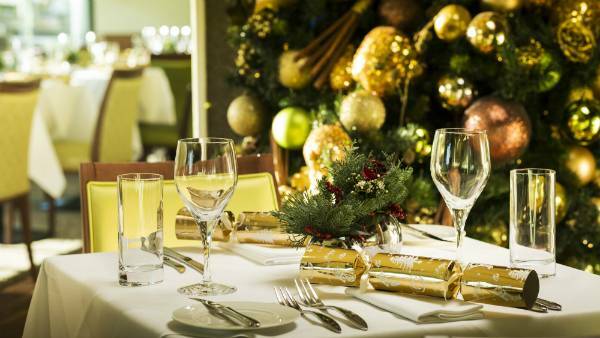 The holiday season is by far the busiest time year for restaurants. According to the National Retail Federation the holiday season can account for 40% of their annual revenue. As a restaurant owner, your main priority come end of the year should be to take advantage of this seasonal trend. This means having a list of holiday promotion ideas planned and ready for the end of the year. If you are short on unique holiday inspired ideas, we've put together the essential steps you need to make sure the holiday season is a success for your restaurant. 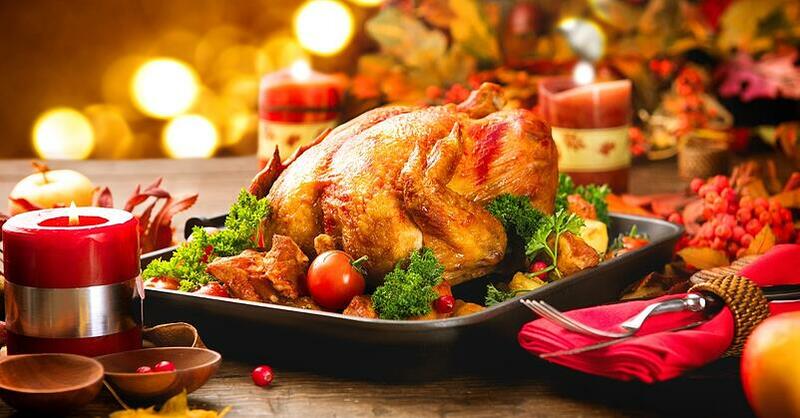 For most restaurants, the holiday season is the busiest time of the year. Busy enough that your customers will start making reservations and dinner plans weeks in advance. Make sure that you are ready to accept these reservations as they come in, rather than having to turn away angry guests during chaotic dinner shifts. During the holidays, your customers are also more active online than the rest of the year looking for places to eat. Make sure your restaurant provides them with a method of reserving a table wherever they may be online. This is possible by using a booking widget link that can easily be embedded across the web. The most fitting addition to your restaurant during the holiday season is a winter menu. The holiday season is known to be one of the busiest times of the year, and having a simple set menu will make it easier on not only your customers but also your staff. By only featuring a set menu during the holiday season, you make it easier for your restaurant staff to prepare themselves, prevent messing up, and to correctly anticipate how many dishes they will have to prepare. If you want to take it to the next level, try coming up with multiple menus at multiple price points to appeal to as many of your customers as possible. Gone are the days where people used to send personalized cards to each other for the holiday season. And while technology has overtaken tradition, you can still get into the holiday spirit with a few changes to your normal routine. Instead of sending your usual email newsletter to your customer, adapt it to be a holiday themed E-greeting. This is a great way to show your customers that you are thinking about them this holiday season while also promoting whatever specials you have going on in your restaurant. Nothing is worse for your customers than visiting your restaurant and not having their favorite meal available. Make sure you are well prepared to handle the holiday surge by looking over your previous year's orders and and anticipating what is going to be the most popular dish. It is never too early to start promoting your holiday offers. Start pushing special offers at least a month before the holiday season begins. This guarantees you'll be the first thing on your follower's mind when the time comes. One way to make this strategy even more effective is to run a social media marketing campaign across all your platforms. By utilizing Facebook, Instagram, and Twitter to your advantage, you can guarantee that you have covered all your bases. To increase excitement, incorporate a holiday themed giveaway that gives your followers a chance to win vouchers or a special holiday meal from your restaurant. The best way to ring in the holiday season is with decorations. Take the time to decorate your restaurant as you would for any other special occasion. The most important thing though is to keep your demographic in mind when decorating. Depending on the country you live in, your decorations might have to change from representing specific holidays to generic winter themed ones. If you are having trouble coming up with decoration ideas, turn to social media for inspiration. Websites like Instagram and specifically Pinterest are great spots to discover brilliant ideas. With winter being the busiest time of the year, you are going to want to make sure your staff are ready to handle the challenge. Schedule shifts and train any new employees at least a month in advance to avoid any mishaps. This time of year is also known to be associated with the highest time off requests, implement a first come first serve policy to avoid your entire staff going on vacation. Can your staff alone handle the holiday rush? If the answer is no, consider hiring part time help for the winter season. To figure out how many extra employees you need, look to the previous year’s numbers as a benchmark and choose accordingly. Monitoring how your staff work can make a huge difference. As with any special occasion, you should definitely be using social media and Google ads to your advantage. Your restaurant might already have a large customer base, but reaching out to a newer will only be beneficial. If you have a special menu or special menu item during the holiday season, make sure that this is highlighted in the ads.